Project planning cards for engineering the future in/of the field. Earlier in the summer, Clean Air Council worked with Port Richmond residents and our academic partners to collect data on the concentration of black carbon in the neighborhood. Climbing up 12 ft ladders in the dead heat of Philadelphia summer, we put up monitors on homes, businesses, schools, and parks around Port Richmond and collected air quality data for four weeks. This past Tuesday the community research team at portrichmondAIR met at the Starboard Side Art Gallery in Port Richmond to continue our fieldwork, albeit with a different set of tools. After every deployment, the community research team meets to discuss the initial results of the data collected during the first part of our fieldwork. Much of the data analysis has to be done by our academic researchers who spend hours staring at air quality statistics in windowless university offices scattered throughout the city of Philadelphia. Though, not all of the conceptual work is done in these spaces. It is also produced in the field by community researchers who participate in collecting data, developing research questions, and deciding what to do with our results. 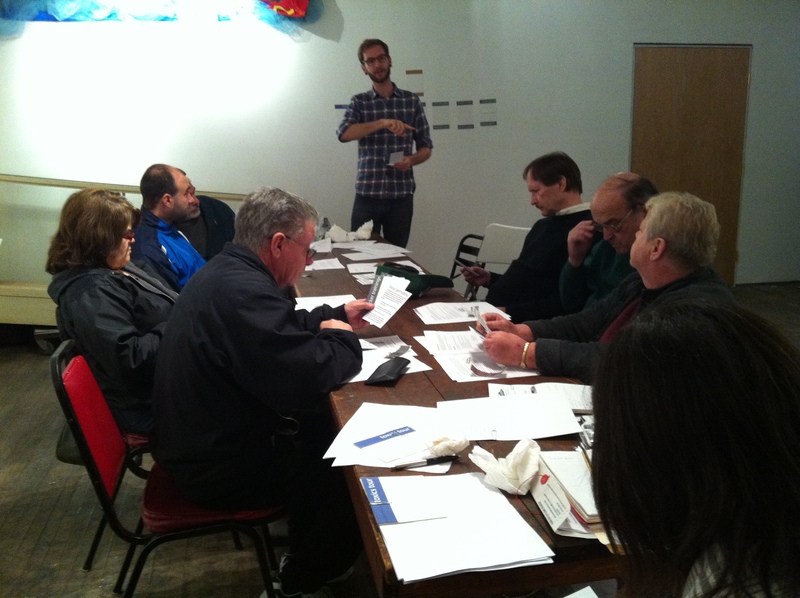 Deliberating on the future of the field: community researchers at Starboard Art Gallery working through project planning. In this workshop, the community research team discussed the updated findings from the last deployment and discussed possible future projects on air quality in Port Richmond (we’ll post more on initial research findings later). I created a set of planning cards that described possible air quality projects that would address environmental concerns I learned about from speaking with residents at other workshops, events, and our photo exhibition. 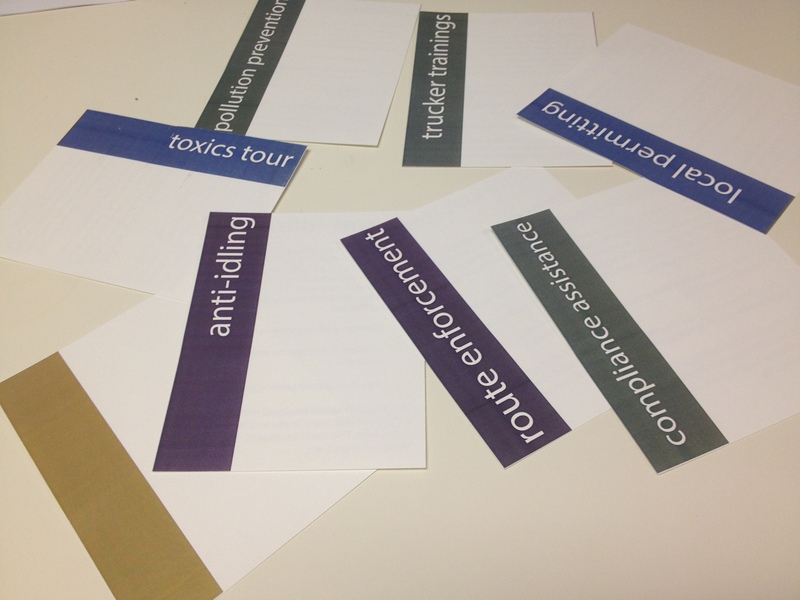 The community research team suggested which projects to focus on by placing stickers on the cards for the ideas they felt addressed their concerns. We identified that focusing on facilities in the neighborhood that contribute to air pollution is a top priority. Much of our focus has been on truck traffic (a mobile source) and the research team suggested exploring other “fixed site” sources in the area, among other projects. Fieldwork produces fieldwork produces fieldwork, and so on forever… Air quality workshops in Port Richmond are a work of field engineering: planning current and future projects in/of the field. Sometimes we climb buildings, sometimes we organize data, and at other times, we discuss the future.